On the other hand this also removes knowledge and with it education increasingly from the public space. The remote nature of a lot of education and knowledge building leaves places empty. Through out history campuses were amongst the main elements of place being a major feature of the city. Still today great campuses feature as great attractions and landmarks, even making it into movies. Nevertheless campuses and places for education, especially higher education still get buit ad are multi billion pound projects. Many are new, but a lot are existing and reinvent themselves. There are of course the archetype campuses Oxford and Cambridge in the UK, but also institutions in the Netherland, such as Delft and Utrecht or in Switzerland the ETH and EPFL campuses and of course in the US for example the MIT campus or the Stanford Research Park amongst many. ‘Campus and the City – Urban Design for the Knowledge Society’ in a gta Verlag publication edited by Kerstin Hoeger and Kees Christianse with contributions by numerous people on the planning and implementation of campuses world wide. The book puts its emphasis on the contextua integration and the potential of syntheses as the generation of place. 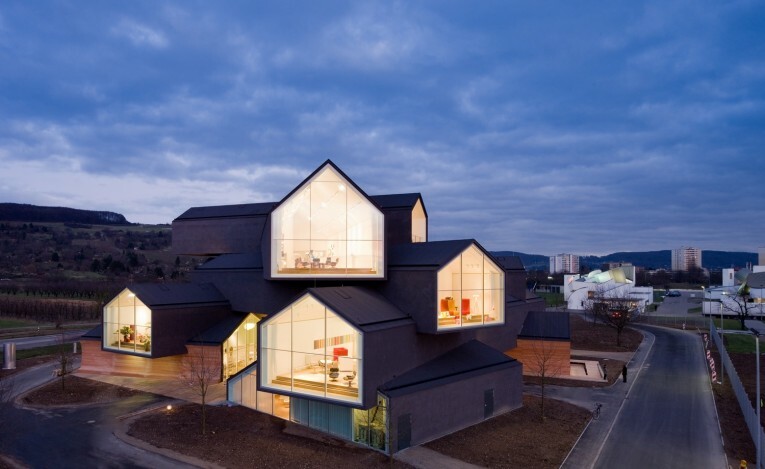 Image taken from supertacular / Vitra Campus in Weil am Rhein with the new Herzog de Meuron exhibition building in the foreground. Visible in the back grond is another campus buildings by Frank Gerry. This project features in the book in the section ‘Corporate Campus’. 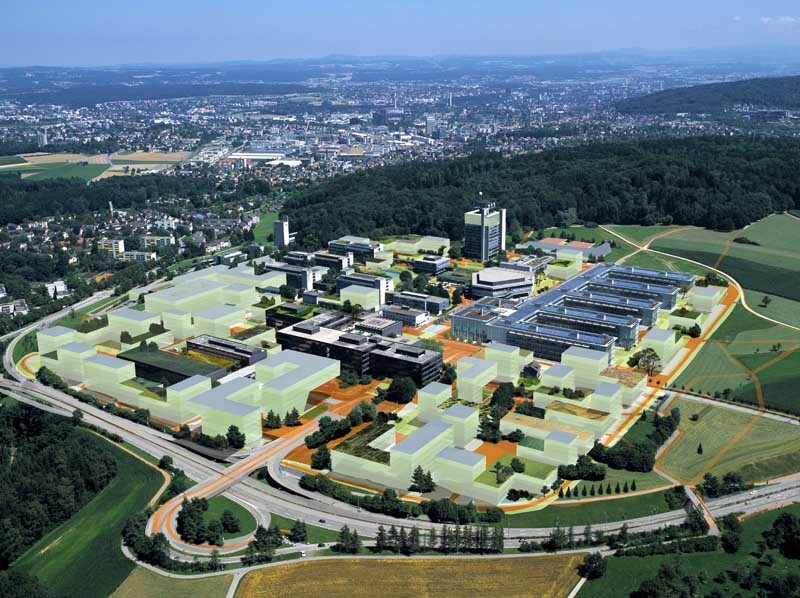 The book is a result of a conference series inspired by the reorganisation of the ETH Hoenggerberg campus ‘Science City’ in Zuerich, Switzerland. The first conference ‘Campus Design’ was held in 2006 with the following up ‘Competitive Campuses’ with some more events in this series. The conference content has been extended for the book publication with research work undertaken at the Institute for Urban Design (ISB) and was published in 2007. The discussion around campuses and how to design space for knowledge is very successful at combining different levels as for example architecture with the educational requirements of the new Bologna education plan. This syntheses results in a discussion on urban design that goes much beyond the usual planning context. It is not just for the campus but with the campus in a wider context reaching out to the city and beyond. Image taken from supertacular5osa / Mensa Karlsruhe, by J. Mayer H. Architects, is an elastic space, that sits in the center of the Karlsruhe University Campus. As an extension of the already existing facilites, the city of Karlsruhe is building a canteen that will serve the growing number of students. The building becomes the new adress of the campus, negotiating between the identities of three universities as well as between the urban fabric and the Hardtwad forest. The building reacts to this special condition with different stages of porosity. This project features in the book in the section ‘Inner-City Campus’. The contributions and discussions around specific campuses are structure in four sections. Each section describes a different condition. They can be defined in terms of location as with ‘Inner-City Campus’ or by character as with ‘Greenfield Campus’ or with work conditions and specifications as the section ‘High-Tech Campus’ or also as with the last section on ‘Corporate Campus’ the economic conditions. Place making has become increasingly difficult, both as a result of the changing technologies but also social configurations. This publication shows in a very practical way how careful examination and far reaching planning can create great places for the network society. Image taken from KCAP / Campus and the City book cover.